Dee joins the marvellous Denzal Sinclaire and the Florida Orchestra in a tribute to the music of Nat and Natalie. Celebrate a century of the legendary Nat King Cole and his unforgettable daughter Natalie. Individually they put their stamp on the jazz and pop of their day and won multiple Grammys along the way, with hits like Route 66, When I Fall in Love, This Will Be, Inseparable and, of course, Unforgettable. Dee joins the marvellous Denzal Sinclaire and the Florida Orchestra in a tribute to the music of Nat and Natalie for a matinee and evening concert. Celebrate a century of the legendary Nat King Cole and his unforgettable daughter Natalie. Individually they put their stamp on the jazz and pop of their day and won multiple Grammys along the way, with hits like Route 66, When I Fall in Love, This Will Be, Inseparable and, of course, Unforgettable. Venue: Mahaffey Theater, Duke Energy Center for the Arts, 400-1st Street S.
Join us for a special Valentine's Day University of Puget Sound Jazz Orchestra performance featuring special guest Dee Daniels and director, Tracy Knoop. Dee has cultivated a diverse career that has seen her on theatre stages including the 2009 premiere of New York choreographer Twyla Tharp’s new musical, Come Fly Away. With the creation of her Symphony Pops programs, Unforgettable: 100 Years of Nat and Natalie, Great Ladies of Swing, The Great American Swing Book, The Soul of Ray: The Music of Ray Charles, and A Night Out With the Boys, Dee has enjoyed sharing stages with symphony orchestras across the U.S., Canada, and Western Europe. A respected vocal clinician, adjudicator, and mentor, she presents clinics, workshops, and master classes around the world. Nat King Cole and Natalie Cole put their stamp on the jazz and pop music of their day. Celebrated vocalists Denzal Sinclaire and Dee Daniels combine their talents with the Omaha Symphony to pay tribute to these legends. "Unforgettable", "Route 66", "Mona Lisa", "This Will Be" - hear all their hits! The Pensacola Symphony will present Center Stage: A Benefit Concert. The event features an electrifying swing, soul and blues-inspired performance by vocalist Dee Daniels. All of the funds raised at Center Stage will support PSO’s Beyond the Stage program for community engagement and education. Beyond the Stage programming shares music with the Pensacola community in schools, healthcare facilities and neighborhoods and works in partnership with amazing organizations like The Studer Family Children’s Hospital at Sacred Heart, Covenant Care, Nemours Children’s Specialty Care, the Pensacola Community Music School, Azalea Trace Retirement Community, and three area middle and high schools. Hot Air is hosted by long-time CBC Radio One and 2 host, Margaret Gallagher. The show's live studio sessions, interviews with artists and composers, informed discussion and great music are just some of the reasons that Hot Air has been a part of CBC Radio in British Columbia since 1947. Come join in an intimate concert with Dee Daniels and special guests Brazilian guitarist, Cleso Mechado; R & B singer, Dalannah Gail Bowen, Jazz pianist extraordinaire, Miles Black; and emerging jazz vocalist, Maya Rae. Come one, come all and join Dee for her annual Easter Sunday Jazz Vespers at *St. Andrew's-Wesley United Church in downtown Vancouver! Always a riveting show of gospel and inspirational songs along with uplifting spoken words by the church ministers. *Note...Because a massive 18 month renovation begins on the church the middle of February, the Jazz Vespers will be held directly across the street at the First Baptist Church (see address below). Bring the entire family for FREE! The best fundraising show in Vancouver! Over 25 vocal artists of all musical genres donate their time and talent to put on a show of your favourite Motown hits... backed by the funkiest horn band around. Karen Lee Batten, Joani Bye, Leora Cashe, Candus Churchill, Oliver Conway, Dee Daniels, Krystle Dos Santos, Olivia Steele Falconer, Warren Dean Flandez, Roy Forbes, Tim Fuller, Linda Kidder, Jane Mortifee, Tom Pickett, Will Sanders, Kendra Sprinkling, David Steele, Don Stewart, David Wills, Garfield Wilson and more! Proceeds from the evening benefit Seva Canada, a Vancouver based charity whose mission is to restore sight and prevent blindness in developing countries. Dee Daniels! 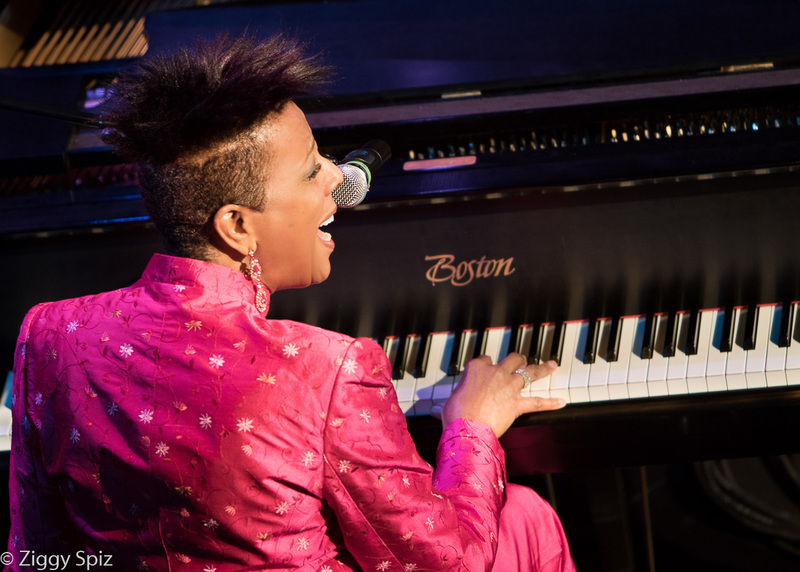 Once you attend one of Dee’s concerts and hear her amazing and unique combination of jazz, gospel and blues you will always want more! Beloved local singer Dee Daniels has had a very diverse musical career. She has sung with many of the legends of jazz including Lionel Hampton, Sarah Vaughan, and Toots Thielemans; sung for the King and Queen of Belgium’s 25th Wedding Anniversary, premiered New York choreographer, Twyla Tharp’s musical Come Fly Away. She has performed in 11 countries in Africa, Australia, Japan, India, Russia, Hong Kong, throughout South and North America, and all over Europe. Dee has shared the stage with orchestras across Europe, the United States, Canada, and now the Richmond Orchestra and Chorus are thrilled to be performing with her in this very special concert. The Chorus will offer a gospel-style set of pieces, while the Orchestra backs Dee up in some of her jazz favourites. This will be an evening not to be missed! Two legendary performers - Nat and Natalie Cole. Celebrate Nat’s 100th birthday, while honoring this incredible father/daughter by listening to one incredible afternoon of their timeless hits with the St. Louis Symphony Orchestra. They put their stamp on the jazz and pop music of their day, winning multiple Grammys along the way. Enjoy an “Unforgettable” concert featuring award winning vocalists Denzal Sinclaire and Dee Daniels as they join the SLSO to perform the best of Nat and Natalie Cole. Enjoy hits including “Unforgettable,” “Mona Lisa,” “L-O-V-E”, "This Will Be", "Inseparable", and many more!